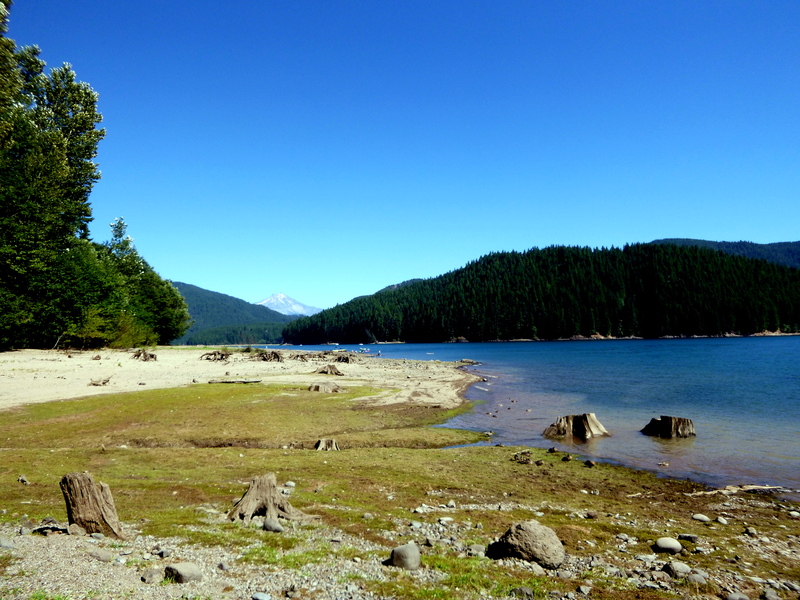 After my swim in Detroit Lake I continued on my way only to encounter another stunning body of water that grabbed my attention from the road. 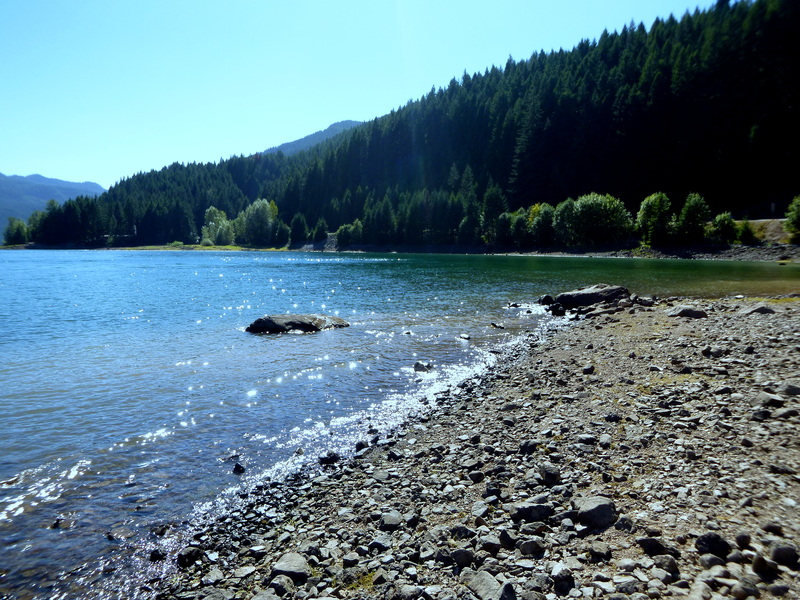 It may actually have been an extension of Detroit Lake or the Big Cliff Reservoir but whatever it was, it was lovely. 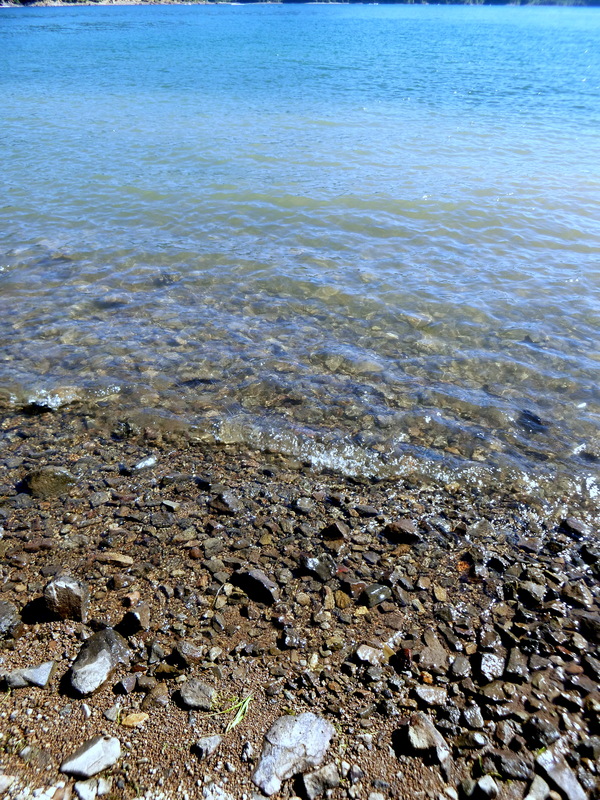 The low water levels had exposed sea grasses and tree stumps on the shore as well as the curvilinear waterline marks in the gravel.